This trail serves an urban population and provides an opportunity to observe wild animals in their natural habitats, and provides a glimpses of what the refuge system has to offer. Location: In NW Denver, refuge trail system near 80th Ave & Wadsworth Blvd. 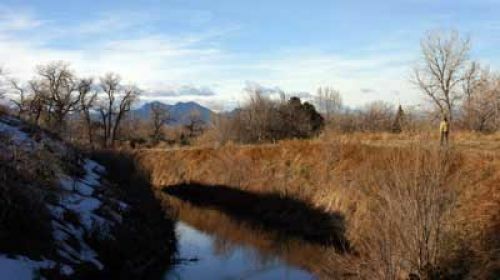 The Two Ponds National Wildlife Refuge (NWR) trail offers two distinct areas to enjoy. The trail forms two loops in the Environmental Education Area where ponds and fruit-bearing trees left behind by homesteaders attract wildlife. In the Prairie Management area the trail makes a big loop with one trail through the middle, where hikers can imagine what it must have been like for settlers crossing the vast prairies. Hikers can view a native short-grass prairie restoration effort in progress in the Prairie Management Area, and can enjoy magnificent views of the distant rock Mountains from many points. Work is currently underway to connect the environmental Education Area trail with the Prairie Management area trail via two footbridges over the Croke and High Line Canals, which provide irrigation water for agricultural use. The bridges are being funded through a State Trails Program grant and a federal Challenge Cost-Share grant, with assistance from the Two Ponds Preservation foundation. Installation is expected to be complete by summer 2005. The addition of the bridges will also connect the Two Ponds NWR trail with the High Line Canal Trail. This trail has been a collaborative effort, receiving support from Great Outdoors Colorado, Two Ponds Preservation Foundation, City of Arvada, and construction labor provided by the Mile High Youth corps. This trail serves an urban population and provides an opportunity to observe wild animals in their natural habitats, and provides a glimpses of what the refuge system has to offer. 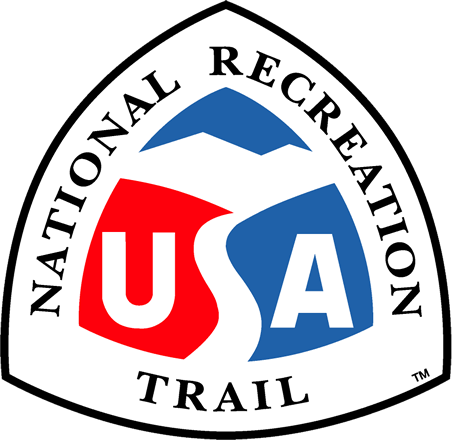 The trail is heavily used for environmental education programs for all kinds of organizations including many school groups. A partnership with the Colorado Wildlife Federation provides assistance with educational programs. The Prairie Management area trail is improved with a crusher fines surface, while the Environmental Education Area trail is primarily mowed grass with a small area of crusher fines surface. while a portion of this trail is accessible, most of the slopes on the trail system are too severe for accessibility.